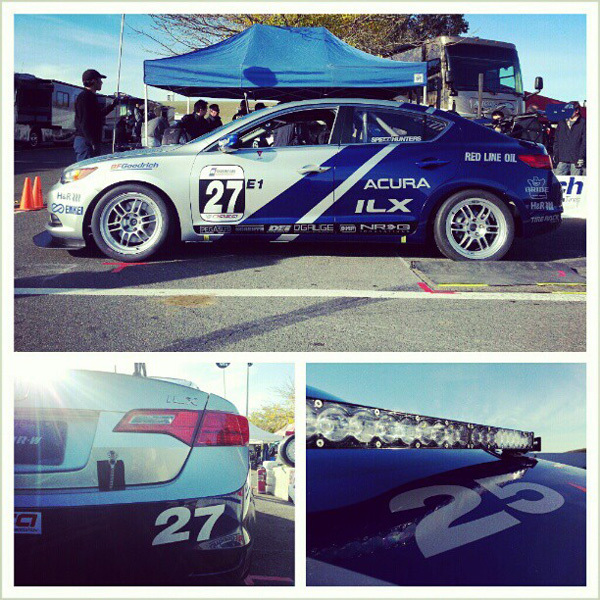 Developed and prepared by Team Honda Research-West, the competition version of the new 2013 Acura ILX proved its speed at last weekend’s 10th annual 25 Hours of Thunderhill endurance race, leading qualifying in the competitive E1 class and setting fastest race lap in the class en route to a fifth-place finish. 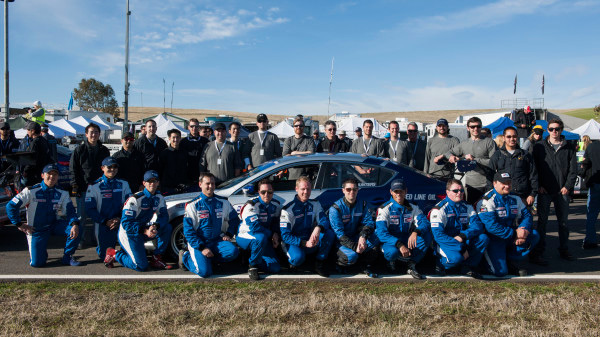 Two Acura ILX sedans were entered by THR-W for the traditional 25-hour endurance race that annually concludes the NASA season at the challenging three-mile Thunderhill road course north of Sacramento, California. THR-W is primarily made up of Torrance, California-based associates from Honda R&D Americas, Inc., who work after hours to showcase Honda and Acura products on the track. 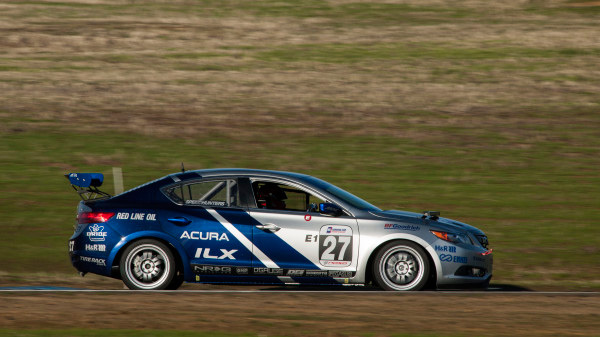 The blue-and-silver Acura ILXs immediately demonstrated their speed, as drivers Scott Nicol and Edward Sandstrom qualified first and second in E1, with Nicol’s final qualifying lap claiming the class pole in a time of 2:00.851 in the #25 Acura ILX. “Qualifying went well. Better than I expected. We had a good set of tires and I made my way through traffic, putting in a good time right at the end of the session,” said Nicol, an associate with Honda of Canada Manufacturing. Sandstrom, a guest driver with the team from the multi-media auto enthusiast “Speedhunters” group and a regular in FIA GT3 competition, led qualifying for much of the session in the #27 ILX before slipping to second behind his teammate. A series of issues delayed both cars during the course of the 25-hour run, but the #27 ILX still set fastest race lap, a sub-two minute time of 1:59.926 set by Sandstrom in the early morning hours of the race. The first delay for the Acura effort took place at the three-hour mark, when the #25 ILX slipped off course and became stuck in soft ground and mud, resulting in a 20-minute delay. An exhaust problem delayed the #27 car early, but the team fought back from that issue to claim fast-lap honors and regain the class lead at the 10-hour mark. Later, a transmission problem delayed the #27 a second time, resulting in a fourth-place finish in E1, 24th overall in the 70-car starting field. The team’s #25 car lost more time with a broken exhaust and finished ninth in the E1 class, and 46th overall. 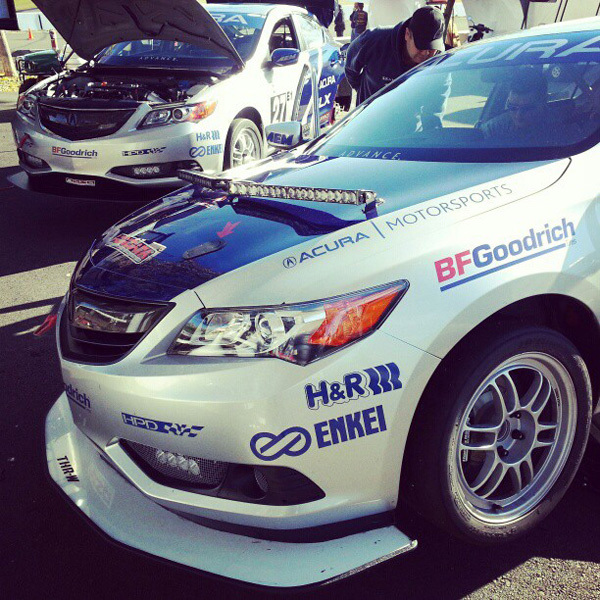 “As expected, the K24 powerplant in the Acura ILX proved to be a great endurance engine. It had excellent torque off the corners and ran without a hiccup,” said Lee Niffenegger, senior engineer for Honda Performance Development (HPD). Founded in 1996, THR-W has a long record of success racing Honda products in both Sports Car Club of America (SCCA) and NASA competition, with more than 50 race victories in a variety of classes. 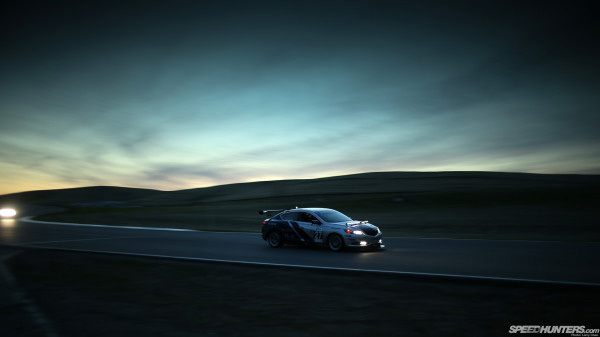 THR-W first raced at the 25 Hours of Thunderhill in 2004 with an Acura Integra, and just a year later joined its sister THR team from Ohio in taking a pair of Honda Civic Si’s to the E1 class 1-2 sweep, including a fourth-place finish overall. 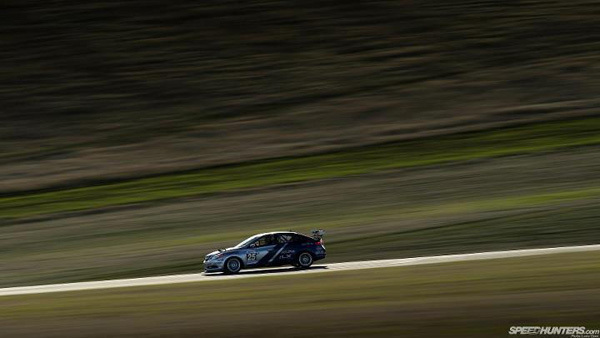 In 2006, THR-W took another podium finish in a Honda Civic Si and in 2010 debuted a Honda Fit in the new B-Spec category with a fantastic fourth-place E3 class finish. 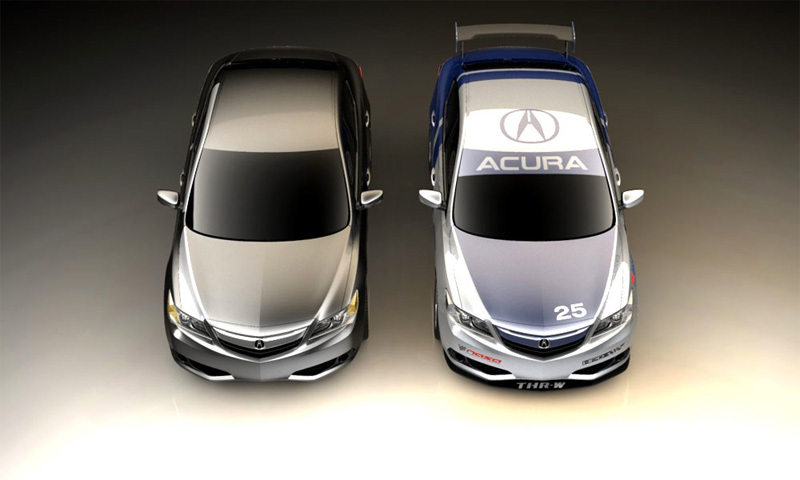 Honda Performance Development (HPD), responsible for Honda racing programs ranging from entry-level categories to the IZOD IndyCar Series and World Endurance Championship, contributed several racing-specific components to the ILX project. These included an HPD-lightened flywheel and racing clutch package, limited-slip differential, motor mounts, anti-roll bars and rear upper suspension control arms. All of these parts are available to racers through the HPD Honda Racing Line program.